The Washington County FFA Chapter attended the North Central District FFA Land and Homesite Evaluation Career Development Event in Randolph on September 27th. 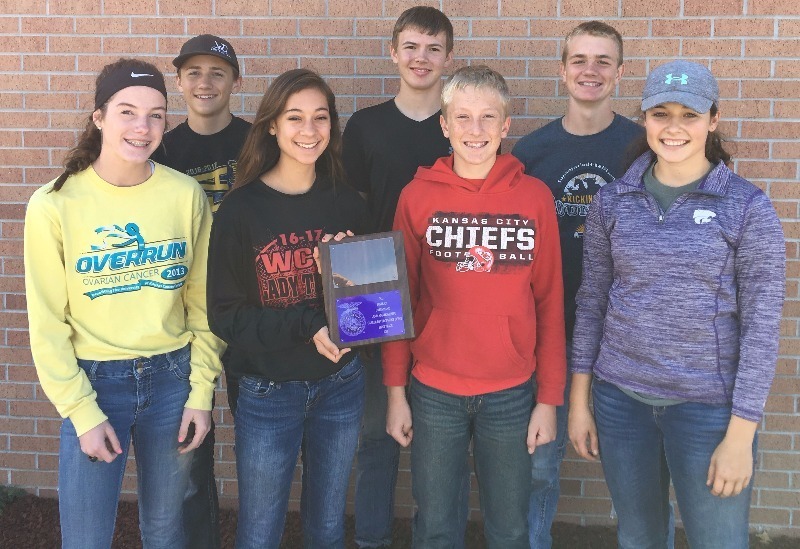 Washington County Greenhands finished as first place team in the district and swept 7 of the top 10 spots with nearly 50 students in the division. Alyssa Kern was the first high individual, Trever Grace placed second, Jack Gilliam - 3rd, Drew Buhrman – 4th, Camryn Boykin – 7th, Nina Villasenor – 8th and Kobe Hoover – 9th. Other students participating in land judging from Washington County were Chloee Swaim, Crystal Crocker, Seth Bonar, Connor Linenberger and Evan White.